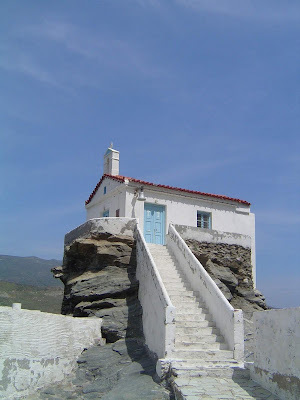 The small chapel of Panagia Thalassini (lit. 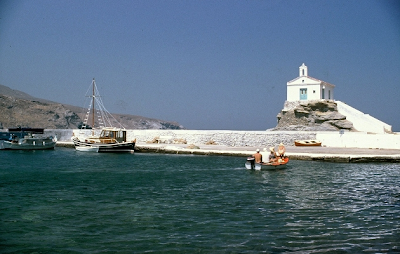 "of the sea") is located in the old harbor of Chora in Andros. According to local tradition, she is the protectress of sea travellers along with St. Nicholas. 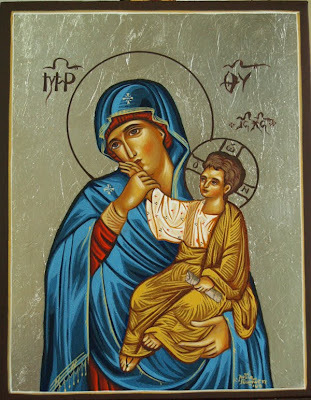 According to the rules of proper iconographic style, the Virgin Mary always wears a red robe on the outside which is used to display her humanity, while underneath she wears a blue or dark green robe which testifies to her giving birth to the God-man Jesus Christ. 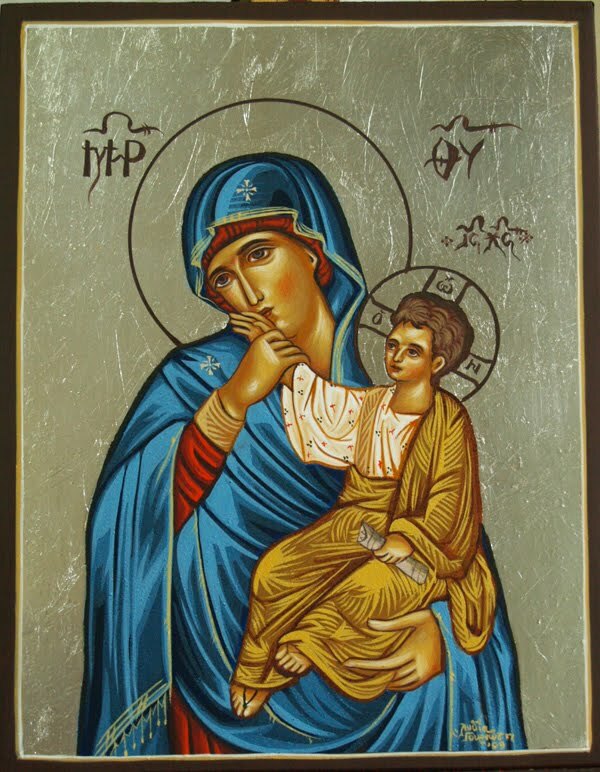 In the icon of Panagia Thalassini, however, we have her wearing blue on the outside. 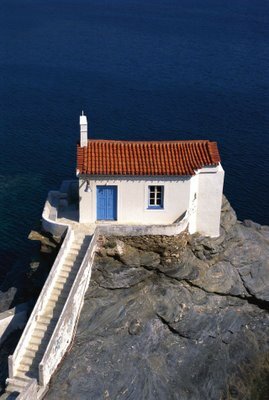 This may be of its association with the color of the sea. 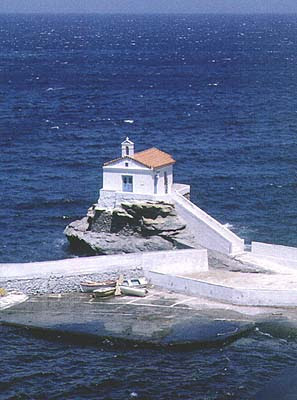 The Chapel celebrates on August 15th.